Or should I say “The Fewd Network”? Appears they are working the staff too hard, or they don’t hold the production staff to the same exacting ‘You’ve got to get this right’ mentality that I see being preached on The Next Food Network Star. 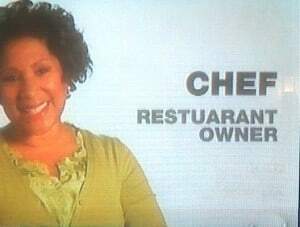 Don’t get me wrong – I love the Food Network. It’s the most watched channel in my TV lineup. However, while watching the show ‘The Best Thing I Ever Ate: BBQ’ last night, I caught this typo. Oh, coming soon – the Graphic Zen sledge on the Food Network logo. Stay tuned.